Wednesday night, Eastern Market Community Advisory Committee (EMCAC) amended a draft version of written regulations aimed at governing the activities of “different users of the market space” when farmers, arts and crafts vendors, non-profit groups, buskers, political petitioners, and artists all vie for operating space in the areas which by statute and Mayoral Order fall under the jurisdiction of Eastern Market on weekends. 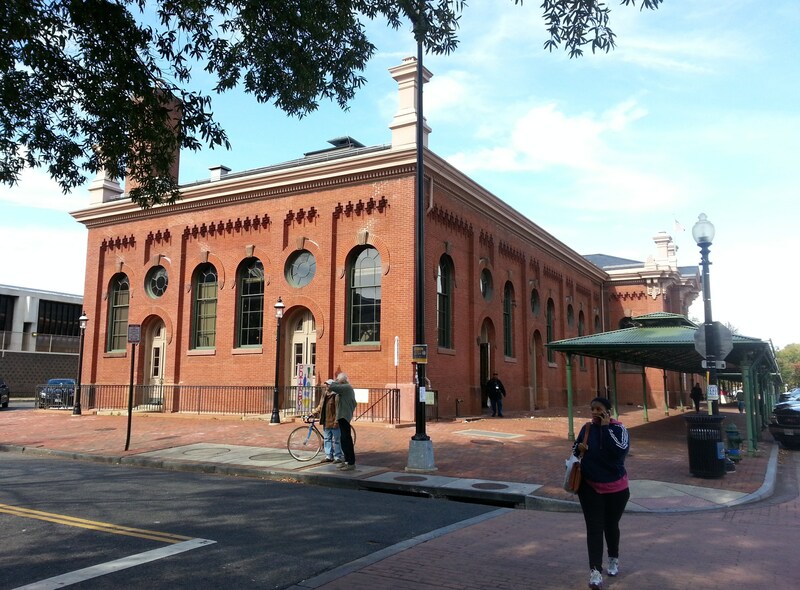 The spaces involved include the Eastern Market sidewalks and North Plaza, the space in front of the Capitol Hill Natatorium, and 7th Street (including sidewalks on both sides of the street) between North Carolina and Pennsylvania Avenues. The most contentious section of the regulations is the part regarding political petitioners. Vendors complain that political petitioners can be too aggressive, interfering with shoppers while they are shopping or impeding access to spaces rented by vendors to market their products. Several vendors, including outdoor vendor representative Erika Rubel, spoke in favor of tougher language restricting the activities of petitioners deemed to be impeding business or the flow of pedestrian traffic. In contrast, some community members, including ANC representative Ivan Frishberg – ANC6B’s EMCAC representative – remain leery about infringing on the First Amendment rights of citizens and non-profit organizations operating on public space. A controversial early draft was sent back to the drawing board last month before being brought back to the Committee at Wednesday night’s meeting. The language, as amended by EMCAC, now reads that individuals petitioning for candidates or governmental reform may conduct petitioning activities anywhere outside Eastern market. Petitioners are requested to not impede the flow of pedestrian traffic on the sidewalk, not to leave leaflets or flyers unattended, not cause the accumulation of trash, and not impede the transaction of business by the farmers or vendors. The proposed regulations also state that a petitioner who wants to set up a table or tent may rent ($35) one of the five spaces reserved for community groups on a first come, first served basis. Outdoor vendor Anita Jefferson pushed to tweak the language regarding interfering with the flow of pedestrian traffic on 7th Street, but ANC Commissioner Frishberg was staunchly opposed, deeming these suggestions an attempt to regulate a problem which barely exists and would entail establishing procedures for enforcement. In the end, the Committee agreed to forward to ANC6B for consideration the broader language upon which there was a consensus. EMCAC Chair Donna Scheeder asserted that the policy could be amended if problems arise. A final section of the new policy prohibits for-profit solicitors from operating on public space controlled by Eastern Market. This will not affect the activities of the not-for-profit Street Sense vendors who will be allowed to continue to sell their papers to support the homeless. FYI: the pool name was changed to the “William H. Rumsey Sr. Aquatic Center” some years ago.